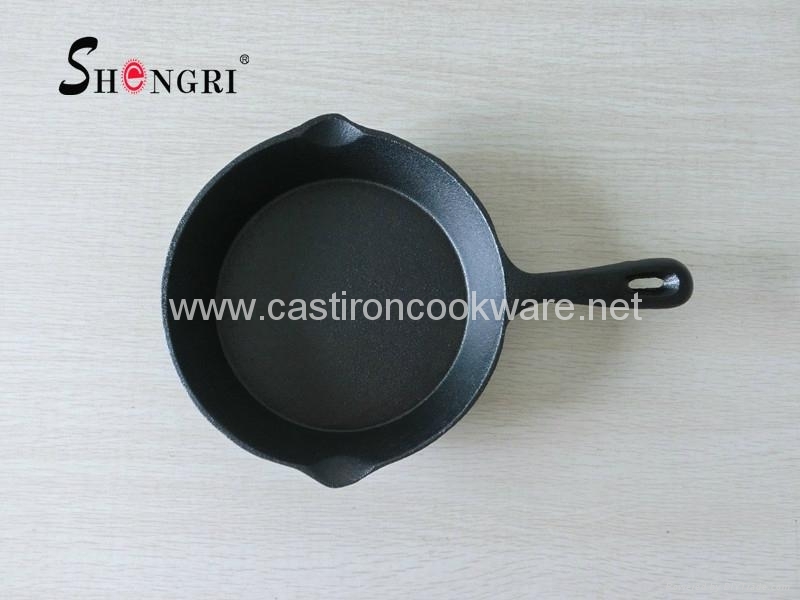 1.Rugged cast-iron construction heats slowly and evenly; an excellent source of nutritional iron. 2.2 pouring lips drain fat. 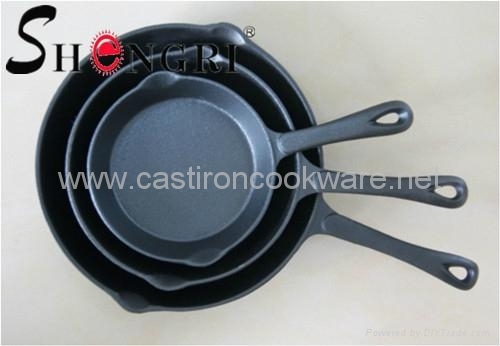 3.Sturdy integral handle with hole allows hanging. 4. 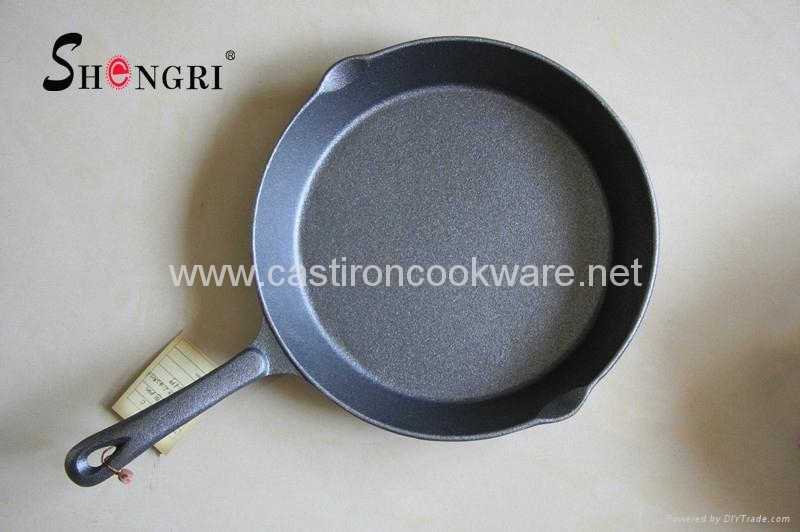 Pre-seasoned oil or enamel finish are available. 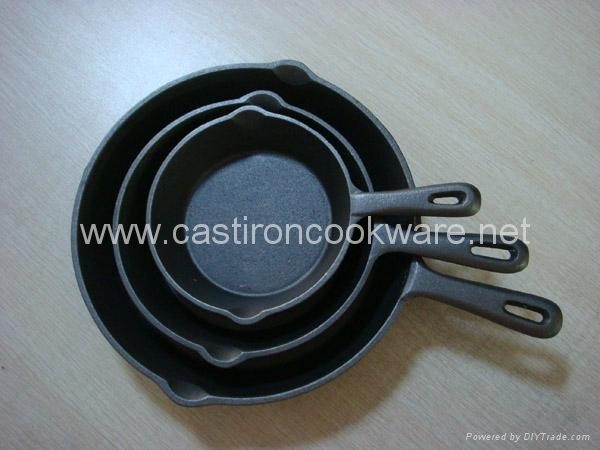 Advantages︰ Healthy cast iron materials, Heats slowly and evenly.